It wasnʼt really a blizzard. Just a routine snowfall. 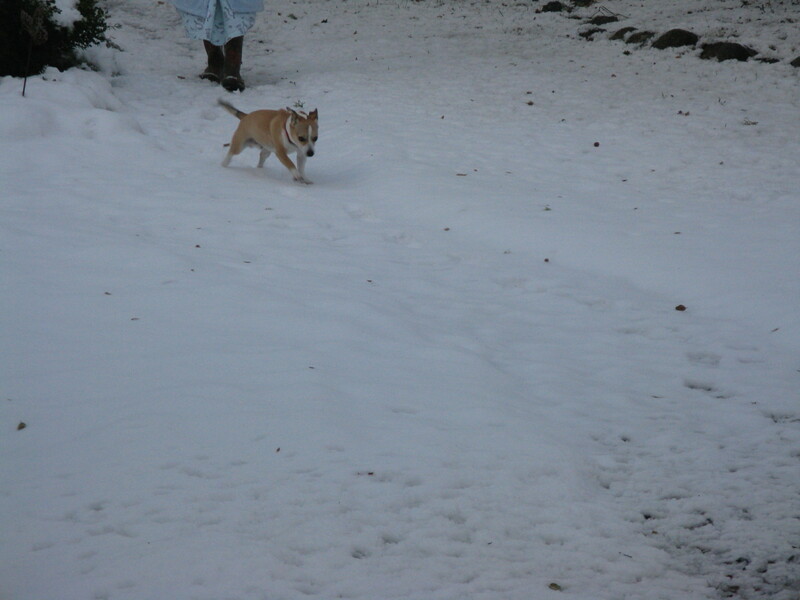 But if youʼre a Chihuahua mix who lives in California, even a routine storm can seem like a blizzard. And it did get down to 14 degrees. Biscuit had to be taken outdoors. He went out like a trooper. And immediately headed for the house. Got a treat as a reward for his bravery. And kept going out for days and walking in the snow – in his bare dog paws in subfreezing temperatures. 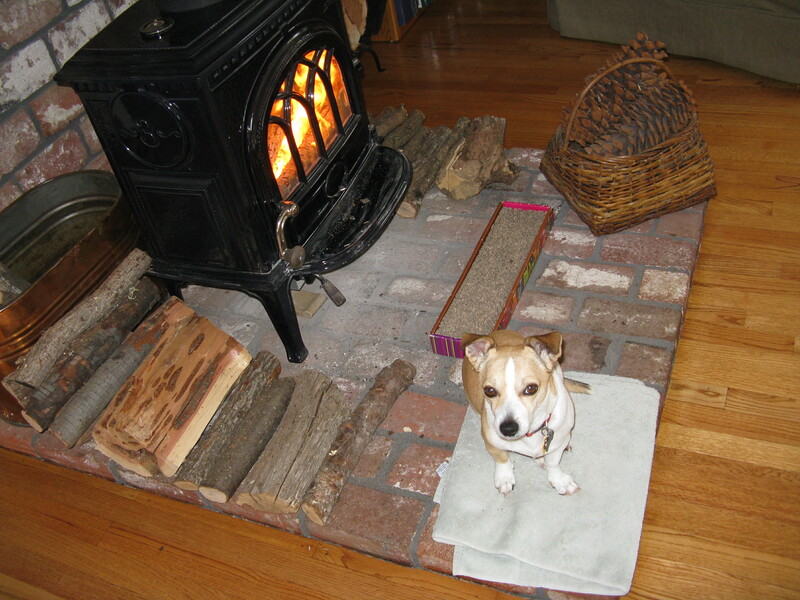 And then would come in and warm up by the wood stove. Tags: dogs, Snow. Bookmark the permalink. Maybe in his previous life he lived in the sierra snow oountry. Biscuit may have lived in the High Sierra during a previous life.